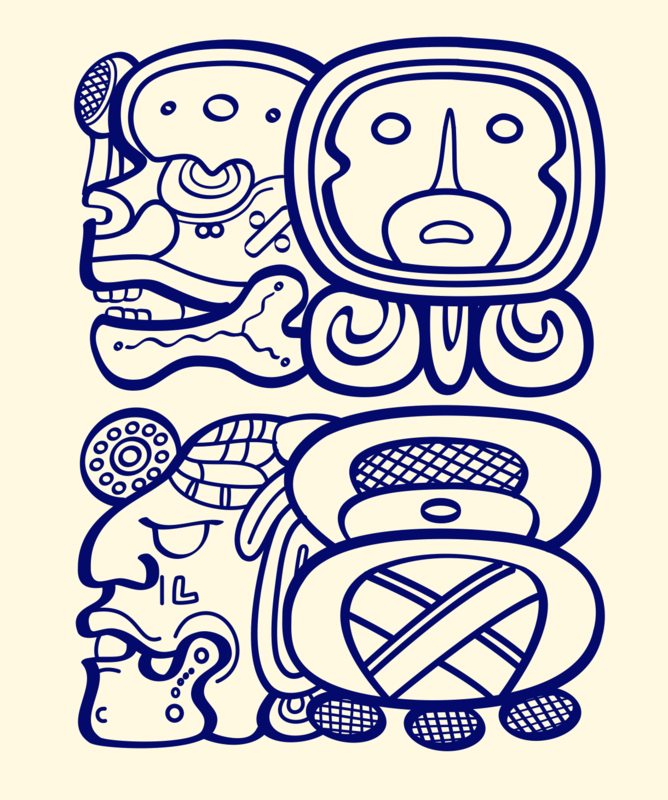 Beginning in 2004, spearheaded by enthusiast Sue Glenn, a call went out to renew efforts to bring Maya colleagues to the annual Maya Meetings in Austin. 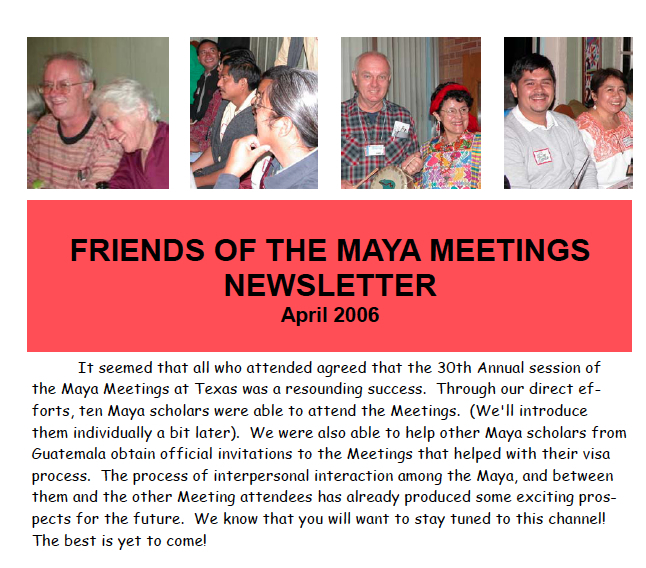 In 2005, we held our first meeting as a group, calling ourselves Friends of the Maya Meetings. Our core group of supporters included Beth Spencer, Al Meador, Karon Winzenz, Nick Hopkins, Kathryn Josserand, Lloyd Anderson, Bea Koch, Cheyenne Spetzler, Greg Reddick and others (I apologize to those I have not mentioned). 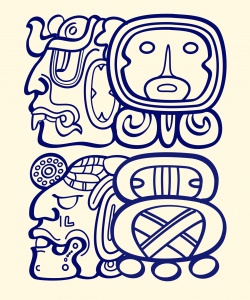 That year we sponsored Maya colleagues Lolmay García and Antonio Cuxil to the meetings in Texas. 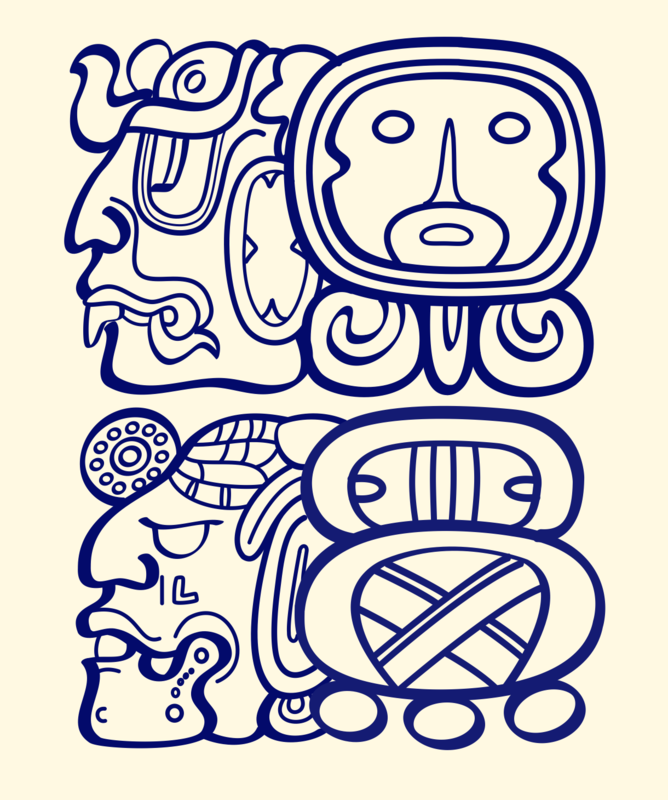 Three weeks to the grand Second International Congress of Maya Epigraphers. Regarding enrollment: Not surprisingly there have been a number of people asking if they can attend. This event is by invitation only, and we have already extended the capacity from 80 to 110. We’re sorry, but we cannot possibly open up to the general public at this time. In March, Martín Gómez and I spent 10 days of intense organizing. 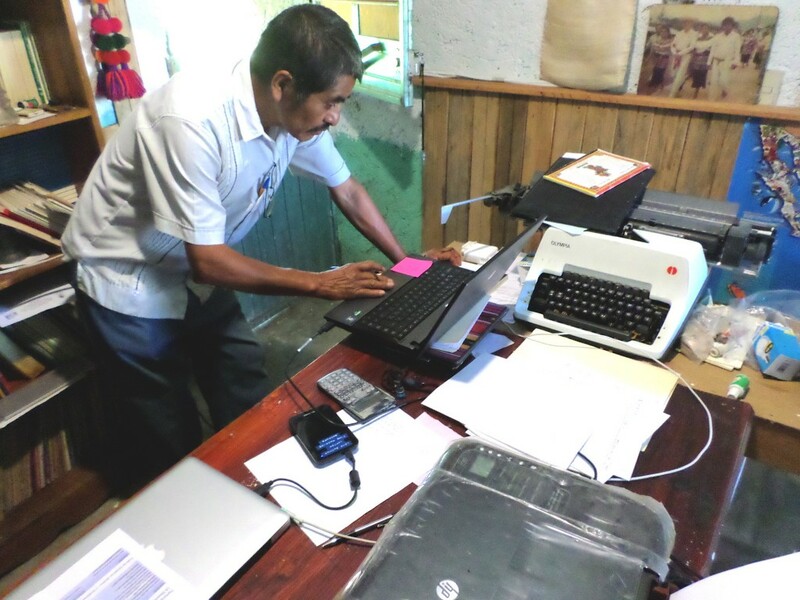 Martín Gómez, Maya Tzeltal, in his home office, Abasolo, Chiapas.